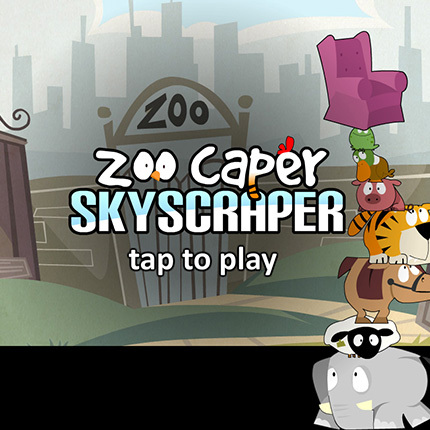 Play Zoo Caper Sky Scraper in your browser now! Download Zoo Caper Sky Scraper for iPad! Zoo Caper is a game designed to incrementally improve dichotic listening skills. It introduces dichotic concepts slowly and allows the player to improve as they play through the game. It uses animal sounds in each ear requiring the listener to correctly identify which animal is making a sound. Recently a study was presented that confirms the effectiveness of Zoo Caper (ASHA, 2015). Several studies indicate significant correlations between poor dichotic performance and other learning and reading difficulties. Dichotic skills are required to distinguish a different sound in each ear at the same time. This skill requires functional pathways to each cortical hemisphere of the brain and the communicating pathway between each hemisphere (auditory portion of the corpus collosum). These pathways and skills are required for a number of other audiological abilities such as focused attention, alternating focus to different sounds from either side of the listener, following a speaker in competing noise (e.g., classrooms). Difficulties here can lead to symptoms such as distractibility in a classroom, difficulty understanding lessons when another sound is present, under-utilization of other auditory skills which aid in following the teacher in an educational setting, which in turn can have significant impacts on learning and can also affect reading and language development. Bellis, T. J., Barker, M. D., & Martin, M. J. (2015) Training CAPD: The what, who, how, and why of Dichotic Listening Training. Presentation at ASHA conference, Denver. CO. November. 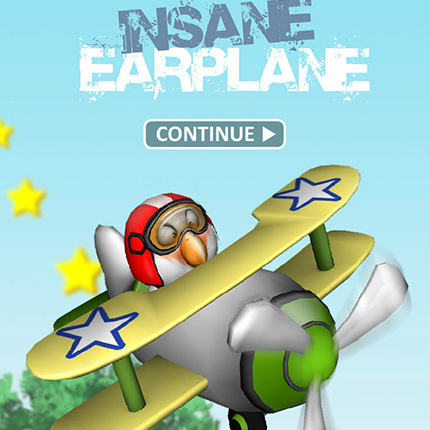 Play Insane Earplane in your browser now! Download Insane Earplane for iPad! 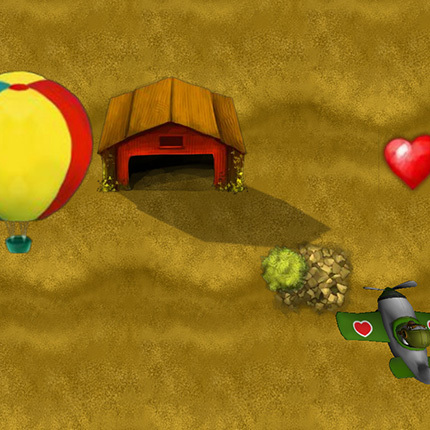 Insane Earplane is an easy to learn flying game designed to improve a variety of tonal listening and processing skills. It introduces different tonal activities, such as memory, pitched tones and frequency sweeps, and allows the player to improve at these skills. Tonal Pattern Memory has been shown in many studies over the years to be a strong auditory processing area correlating to reading abilities. Widely accepted research indicates that these skills are building blocks for learning to read. It is widely accepted that phonemic awareness is vital for strong reading performance. Some studies have evidence that indicates tonal pattern memory skills are related to phonemic awareness, and although it hasn't been determined how exactly they relate, they should both be assessed and (if required) improved to give the child the best tools available to progress with their literacy.